MORE THAN WORDS TOUR UPDATE! 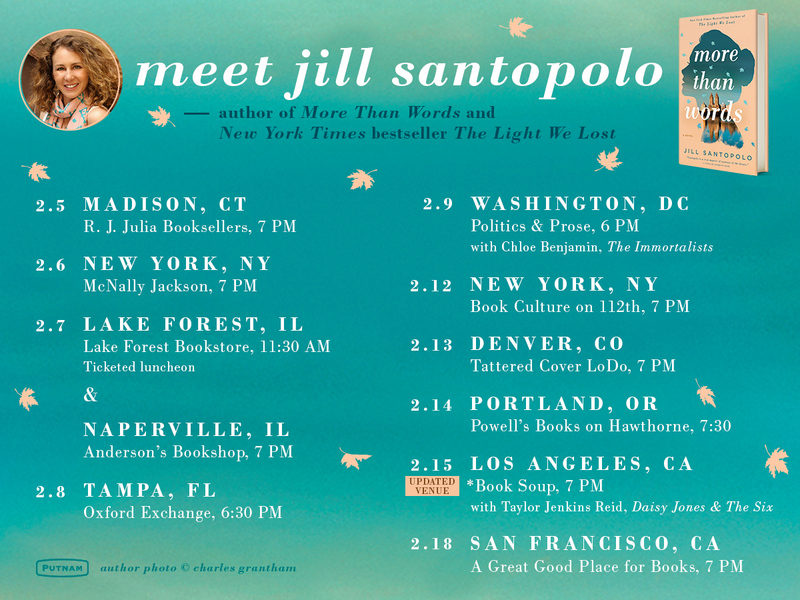 My Los Angeles event on 2/15 with Taylor Jenkins Reid will now be at Book Soup (8818 Sunset Blvd, West Hollywood). Hope to see folks there! I love this animation of the jacket of The Light We Lost that Putnam Books created. I did a little book photo shoot for the finished copies of More Than Words on my cozy Reese’s Book Club x Hello Sunshine blanket. Love the tiny The Light We Lost on the back flap. Book promo alert! 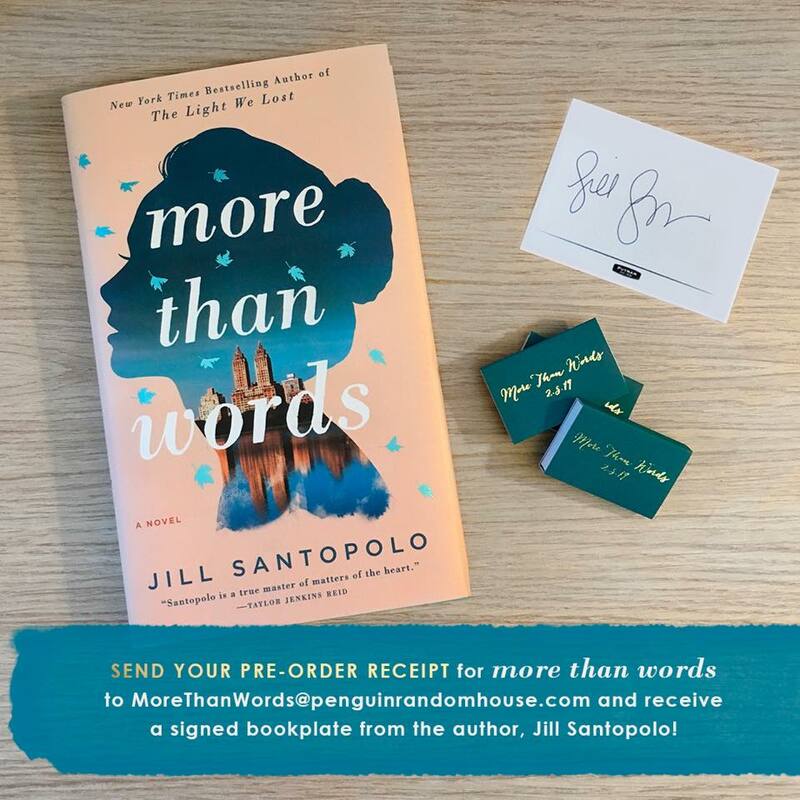 Have you pre-ordered a copy of More Than Words? 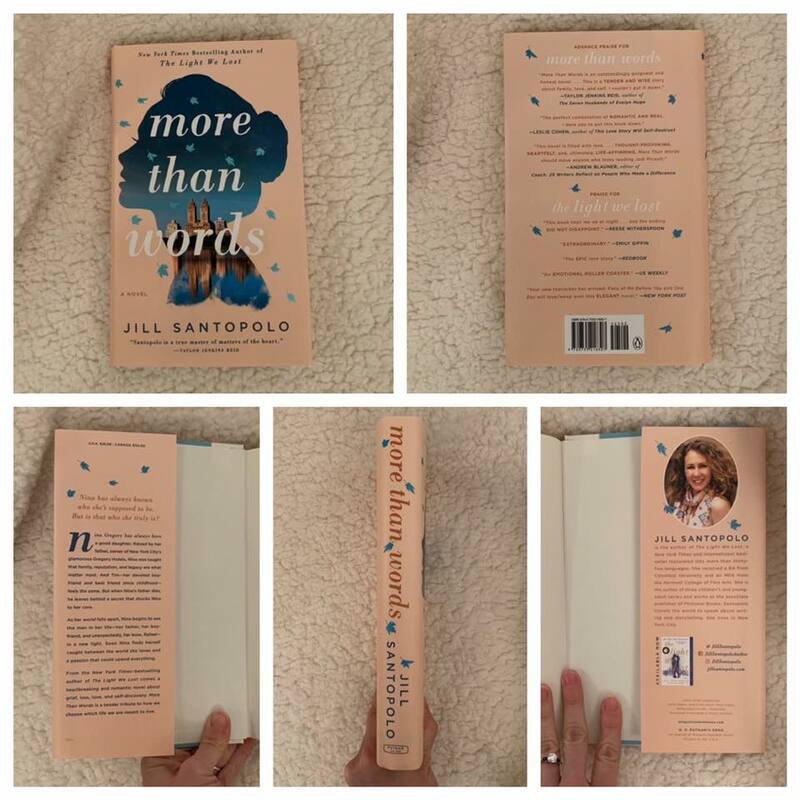 If so, send your receipt to morethanwords@penguinrandomhouse.com and you’ll get a signed bookplate for your book! Also, if you’re one of the first 50 people to send in your receipt, you’ll get a limited edition More Than Words matchbox, too. 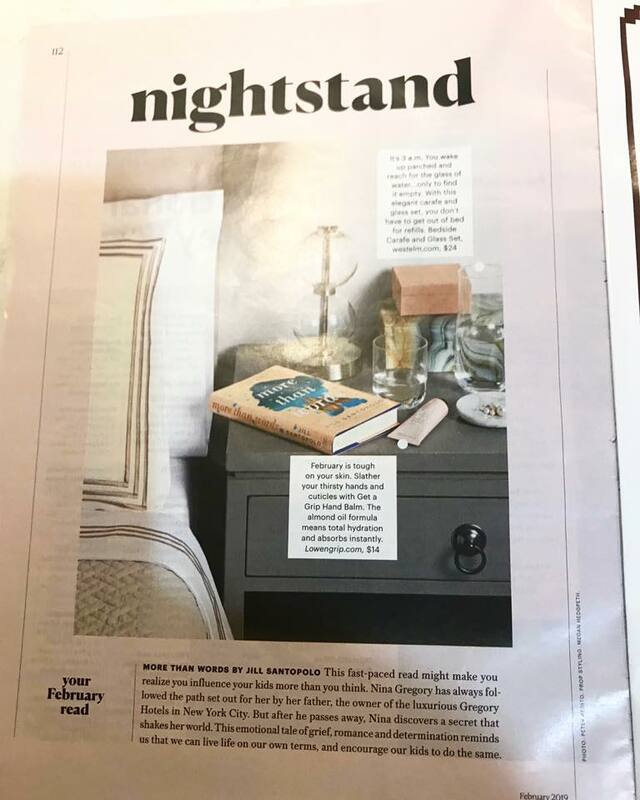 Thank you to The Daily Utah Chronicle for naming More Than Words one of the most anticipated books of 2019. My friend’s mom found More Than Words in her copy of Family Circle! It looks so fancy over there! Need a break from the news? Enter this hotel-at-home staycation sweepstakes! 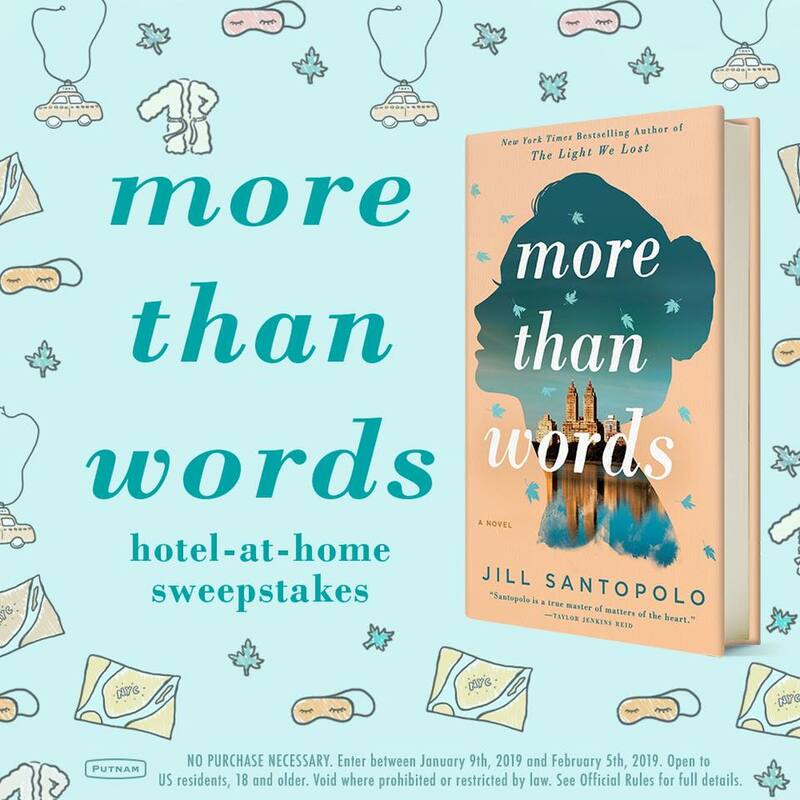 You could win lots of stuff—an eye mask, a bathrobe, a bottle of wine, a necklace, and a signed copy of More Than Words. Click here to enter. Book Bub just called More Than Words one of the most heartbreaking books of 2019. I like to think it’s hopeful, too. What a great present from Marie Claire! 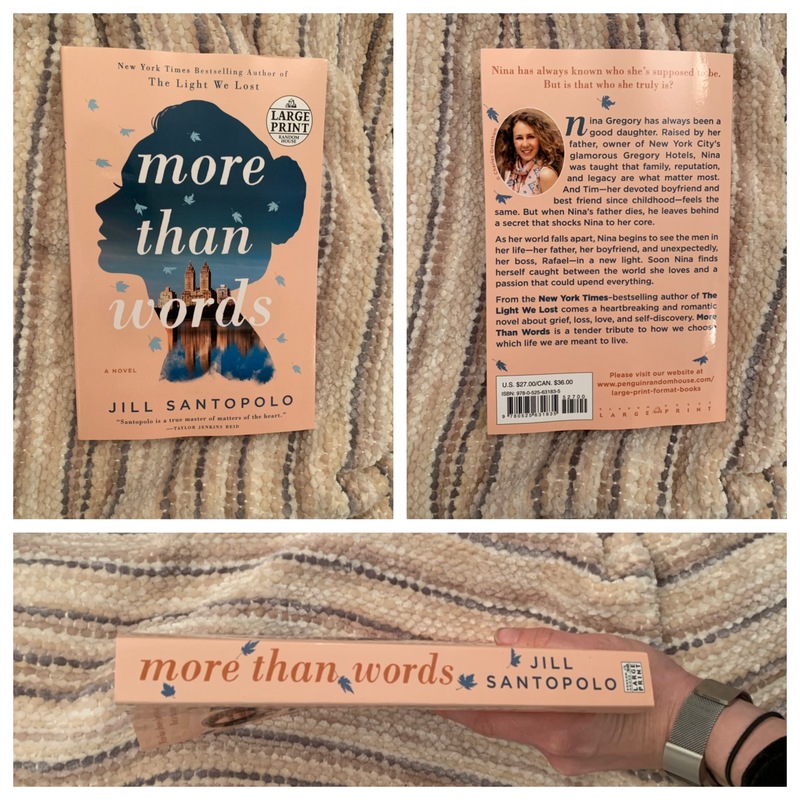 More Than Words is on this list of The Best Women’s Fiction of 2019 (So Far)! I want to pile so many of these on my bedside table. More Than Words on a Bustle list! Thank you to Bustle for including More Than Words in this list of fiction books to add to your reading list in 2019 and calling it a “gorgeously heart-breaking and romantic read.” I want to read all of them!